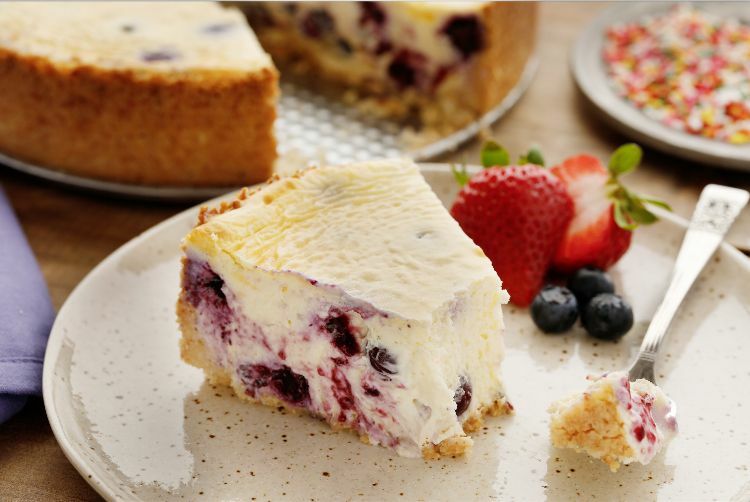 Coconut and blueberry isn’t the most obvious flavor combination, but in a rich, creamy cheesecake, they totally work together. The recipe that follows features a satisfying filling flavored with coconut cream and fresh blueberries wrapped in a crunchy, buttery crust made of almond flour and shredded coconut. The best part is that it is low in carbs and totally guilt-free. Everything about this cheesecake mirrors the traditional carb-heavy dessert, from the textures to the flavors, but with no sugar and very few carbs. Plus, coconut, almonds and blueberries are all very healthy. For me this cheesecake is not only the ideal dessert but a perfect breakfast, too. Preheat the oven to 350 degrees F. Grease a 9-inch springform pan with butter or coconut oil. In a large mixing bowl, combine the shredded coconut, almond flour, butter and 1/2 cup of the sweetener. Mix well. Press the mixture into the bottom and partway up the sides of the springform pan, pressing firmly. Bake for about 20 minutes, until the crust is firm and lightly browned. (Cover it with aluminum foil if it is browning too quickly.) Remove from the oven, but leave the oven on. 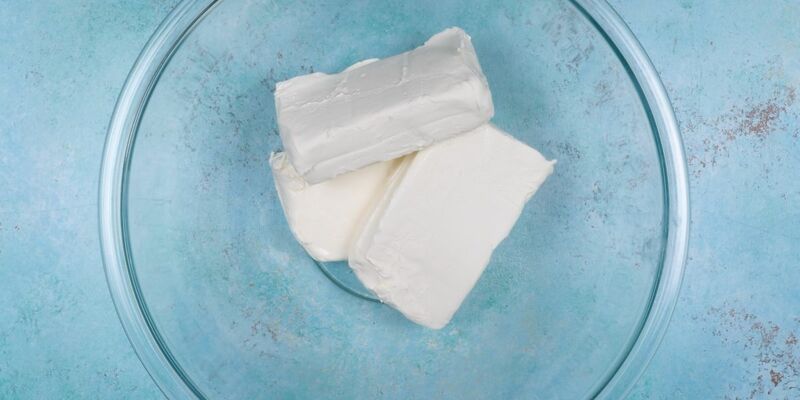 In another large mixing bowl, cream together the cream cheese and the remaining 1/2 cup of sweetener until fluffy, about 4 minutes. Beat in the coconut cream and add the eggs, one at a time, beating after each addition. Beat in the vanilla, and gently fold in the blueberries. Transfer the mixture to the par-baked crust. Bake in the oven for 40 to 50 minutes, until the center is almost completely set. Remove from the oven and let cool. Refrigerate the cheesecake overnight and serve chilled.